The difference between mastering Spanish vocabulary and grammar and being able to hold a fluid, casual conversation in Spanish is quite vast. That’s because – just like in English – a lot of the nuance and fluidity in a conversation is due just as much to little, seemingly meaningless words as it is to vocabulary and proper verb conjugation. 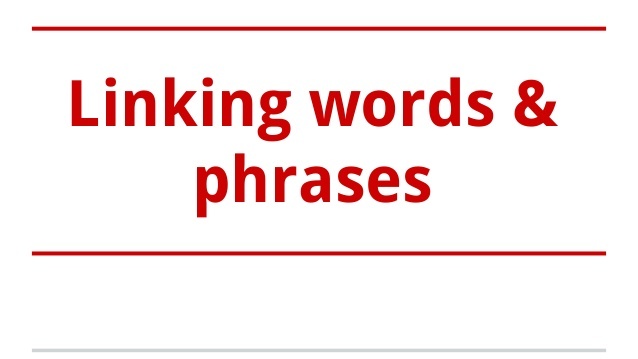 These little ‘meaningless’ words and phrases are also known as linking words or transition words. As a native English speaker, I had no idea just how important they were until I realized that I had no idea how to say them in my host country’s language. A fact which often left me frustrated and frequently caused me to either: 1) come to a dead stop mid-sentence, or 2) simply insert the English word in place of the Spanish word I didn’t know, leaving whoever was listening to me totally confused or amused. To spare you and your listeners the same amusing confusion and frustration, I decided to compile a list of 30 essential Spanish words that helped me take my conversations from stilted to fluid. Qué va – no way! I dun beleevit. Yeah, right. Of course, the list above isn’t a comprehensive collection of all Spanish transition words – click here and here for more. What are some Spanish transition words and phrases that you’ve found useful? Share them in the comments! The things you learn on roadtrips. 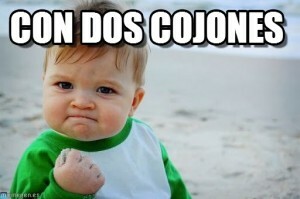 On a recent one with some Spanish friends, I learned just how important cojones are to Spanish people. While my three Spanish compadres were laughing among themselves, I was once again left scratching my head at some vulgar Spanish expression whose meaning completely escaped me.From what I could gather from Pepe’s explanation, the expression had something to do with two towns we’d passed – Bargas and Menasalbas – south of Toledo. I’d never heard of those towns before, but I’d heard plenty of expressions using that oh-so-familiar Spanish word for testicles. “Spanish people talk about cojones a lot,” I intimated to my friends. 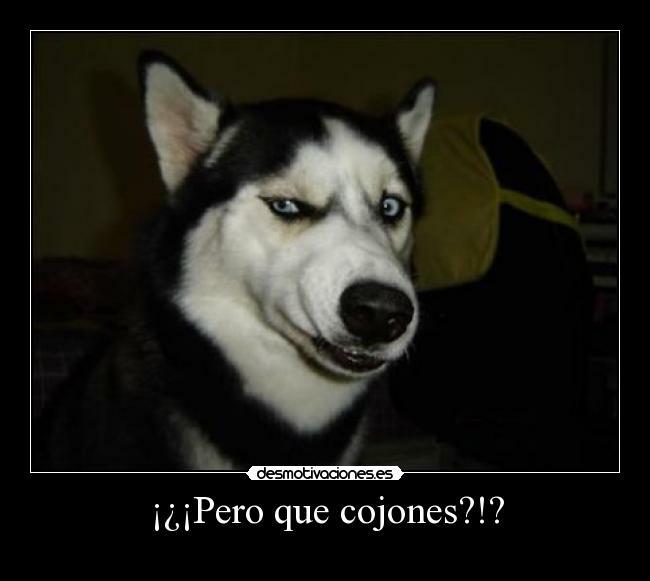 que cojones…? – used as part of a rhetorical question, as in, ‘que cojones es esto (what the hell is this)? hasta los cojones – (to have had it) up to here; to be fed up. Literal translation: up to the balls. vas como los cojones de los galgos – used when someone lags behind. 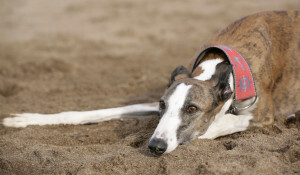 A galgo is a Spanish greyound. Approximate translation: you’re moving like greyhounds’ balls. i’m sorry you got dragged into this. par de cojones – when someone is brave or fearless they are said to have a par de cojones or to have done something con dos cojones. Literal translation: a pair of balls. cojonazos (aka, huevasos) – guy who is henpecked, or a guy who sits around ‘tocando sus cojones’ (touching his balls / doing nothing) all day. mil pares de cojones – with a lot of force, effort, or difficult. Literal translation: A thousand pairs of balls. And that’s just a short list. 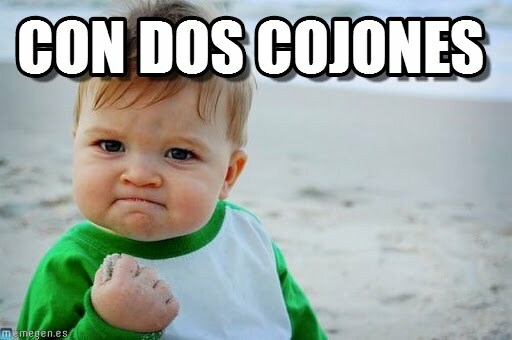 Turns out there are dozens more uses for the word cojones in Spain. Which means that cojones could quite possibly be the most versatile word ever. Rematar. (verb) – To close out, to wrap up, to finish off. Abrigar. (verb) To bundle up. To protect oneself from the cold. As I was leaving the apartment with my bike, I ran into my elderly neighbor, Sr. Braulio. Caber (verb) – to fit, to have room for. As is my usual habit on Thursdays, I go have a coffee and a churrito in the cafeteria at school after my first and only class of the day. Today, the churritos weren’t yet ready when I arrived and ordered my coffee. The guy who runs the cafeteria set out a mini muffin for me to eat while the churritos finished cooking.